You need to enable the repository of rinigus to install this app! 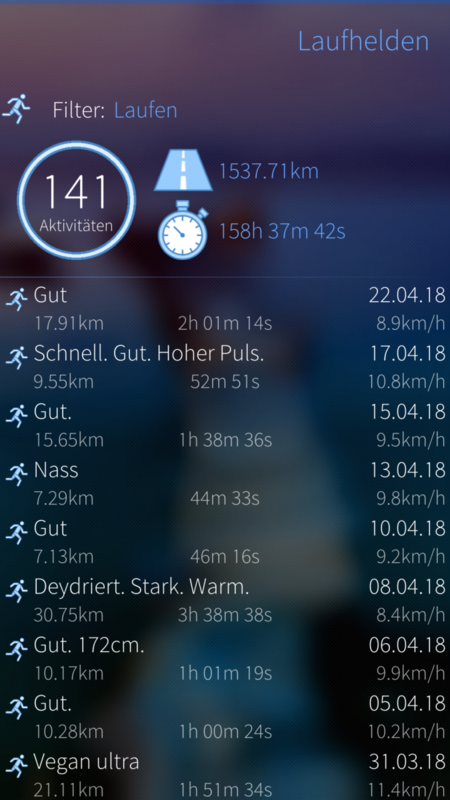 Laufhelden is a sport tracking application for Sailfish OS. Laufhelden is german, meaning run heros. I made this app mainly because Meerun is not maintained anymore. Features are well behind Meerun but there are some little advantages. Meerun is closed source meaning if the developer won't maintain any longer, the app will die. Laufhelden is opensource so that problem should be avoided. 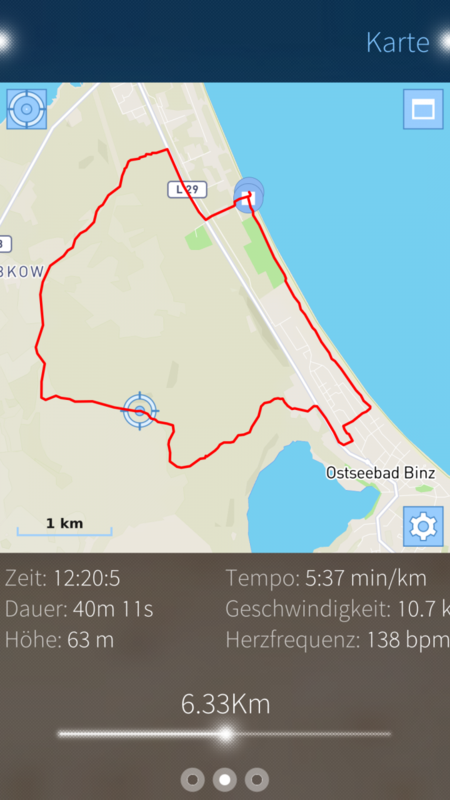 I am working out a few month with the app and really enjoy it, hope you also will! GPX files exported from Meerun will be recognized and hopefully workout type as well as a few other things will be imported. I hope there is a lot to come in the future. I am only one person so don't expect any of these too soon. Please go here for more details of planned features or bugfixing. Here is the TMO thread. fixed a bug, app crashed if a workout type was choosen. To work with Mapbox GL based map viewers, OSM Scout Server has to provide vector maps. Which profile do you use in OSM Scout Server? Note that the Default profile does not include vector tiles. You would have to select "Recommended for vector and raster maps" if you wish to use the server with different types of clients. After changing the profile, please download the missing maps in the manager. 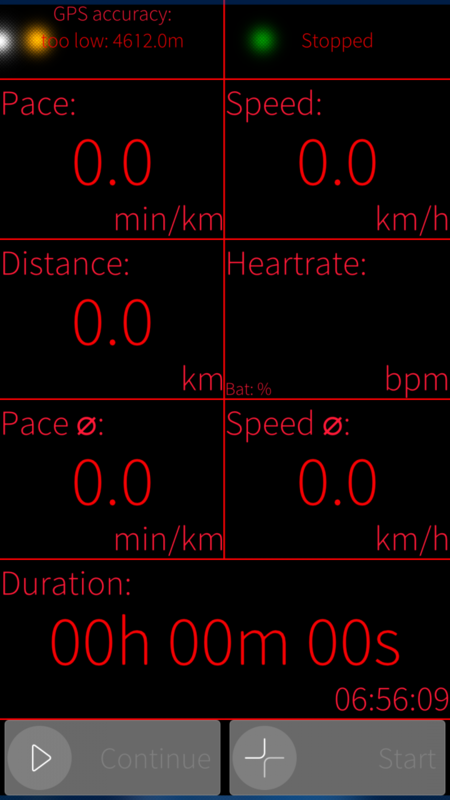 Much improved and sped up GPS aquisition and handling. App worked great but while running my battery died, on app restart and exercise resume it freezes and crashes, resume exercise has not bee successfup. Otherwise new metric and imperial unit option is fantastic! Hi, let's stick to english so that the others have a chance to understand, shall we? Yeah this is one thing I would also really like to have. But I need to record awfully lot's of audio files for that. I have also to figure out how to play that files in the right sequence accordingly. The next release is about imperial units and MapBox support. Maybe after that. Thanks a lot for edit mode! No problem you are welcome. I am eager to get this application running, but I get into problems with installing qt5-qtconnectivity-qtbluetooth. I have had this problem while installing other applications. It must be something specific for me and my SFOS on my Jolla, since other users seem to have this application istall and usable. Is there some clue to get the Qt5 Bluetooth library installed? Sorry for the noise: I dug into pkcon, and saw that it could "search name" the 5.2.0 version of qt5-qtconnectivity-qtbluetooth. I tried to install, but pkcon reported that the package was not found "on the medium". I tried a "pkcon refresh" and another search, now showing the package in version 5.6.0, which could then install. It beats me that users have to "pkcon refresh" manually to get up to speed. Is there no automation for this in Sailfish or with the Warehouse application for OpenRepos? I think, I could do this in the installer of the app. But I don't know if that makes sense. Maybe it could be for some users/phones a dangerous operation. A pkcon refresh takes a couple of minutes on a Jolla 1 phone with many repositories activated, thus please do not consider to trigger this automatically. Great app, it is good to see promising open source successor for the Meerun. At first thanks for display pace in minutes and seconds. Since I'm on XperiaX it's no longer possible to force installation of meerun, so Laufhelden is the choice for me. (rena also works good, but is very basic and seems not developed further) So thank you once more for your good work. It would be nice if it could be possible to edit name, description and type of sport afterwards. Hi silta, your request makes sense and I will add that to my todo list. Ok, I will have a look at the autosave mechanism. There might be bugs. I noticed, that loading a "bigger" walking autosave of 8km was taking really long. Is there a way to optimize this? Also it is counter intuitive to have to start a new workout, to load the autosave. 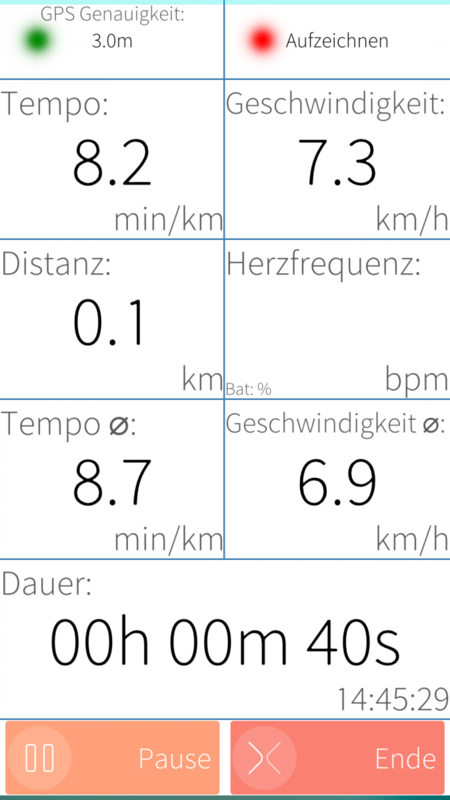 Next release will resume workout directly on start of the app. I was not aware that loading of autosave can take long. What phone do you use? I noticed that on Jolla 1 the loading of the GPX files takes very long. Yes fp2 is really fast, that should not be the problem. I will check it out. First of all thanks for the app. I noticed something weird. I used a workout and in the save screen i wanted to look into another app. So i swiped it in the background and the app killed itself. 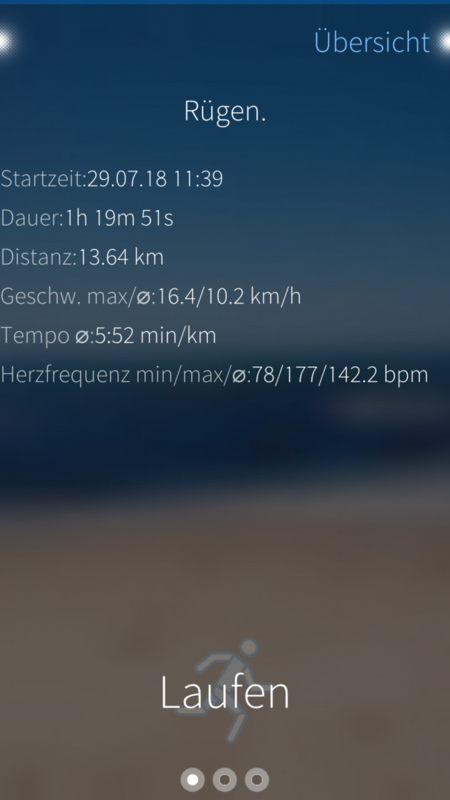 Now i cannot save the workout, cannot see it in the workouts, but can continue the workout in the minimized app? How can i resurrect a workout? The app has a autosave function. You can find the file in the ~/Laufhelden folder. If the file is there, and if you start a new workout, it should start from the old position. You could then regularely end the workout and save it to GPX file. If this does not work, could you send the autosave file to me? Thanks, nice app so far. Keep up the good work on it. One request. Could you please display pace and average pace in minutes and seconds instead of decimal? Hi, thanks for your suggestion. I was thinking about this. Are you sure if this is standard in other apps? How is this done in Meerun? In meerun it's done in minutes and seconds. I don't know what's standard in other apps since I only use meerun. For me it's more intuitively to have minutes and seconds and it seems more consistent since total time of actual training and all trainings are displayed with seconds. OK, I will change this in the next release. I've added Polish localisation on GitHub. Thanks for that, you're damn fast! Thank you for the app/fork! I just have to say it is quite raw yet and I don't mean missing features. The look of the app looks very non-native to Sailfish as it does not adhere to some best practices of SFOS UI development. Settings - Attached Pages are not meant to be used as a carousel (this is the first time I am seeing it) as the user has no way of knowing the menu structure. Settings categories are usually done by using one page and SectionHeader elements, or by having a settings categories list (SilicaListView) and then pushing each page when selected. The Let's go! button in Workout settings is too high on the page to be used comfortably - using a pulley menu instead would be more comfortable. Workout selection looks very weird - instead of normal ComboBox, there's a weird animation of the sports icon and a text clipped at a side of the screen. weird bottom pulley menu in the middle of the screen which overshoots on pull - according to SFOS design principles, up to 4 pulley menu items are allowed in one menu - why have one in the top and two in the bottom one, when you can have all at the top? So please do not copy all the features, with the faults above. If you accept PRs, I would be happy to contribute some to the UI. Otherwise, I would recommend to read the Common Pitfalls in Sailfish Application Development article on Sailfish wiki. thanks for your feedback I really appreciate that. I'm afraid that I have to disagree on some of your points. 2. Let's go button: starting the workout is the most important function of this page and I wish to have it in a prominent place. But I agree that a button is not the best solution. I will lilely use the Meerun solution for this. 3. Workout selection: this is a normal ComboBox, next to an image. The image helps identifying the workout type with just one look at it, no need to read the text. I did it that way because I wanted to bring the users focus to that. It is an important setting and if you overlook it, you have no chance to correct that later on. 4. Workout screen: I agree that an app should look as sailfish like as possible. But certainly not at all costs. 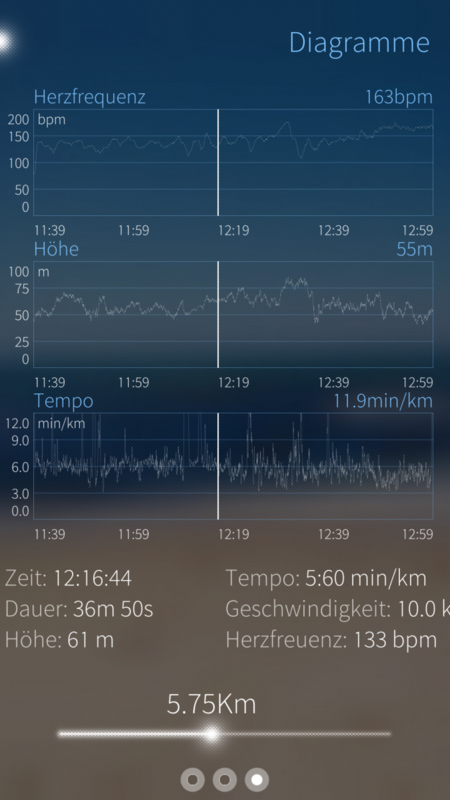 I was very disappointed by the bad using of display space on every single sport tracker app I used before. I wanted to do that better. 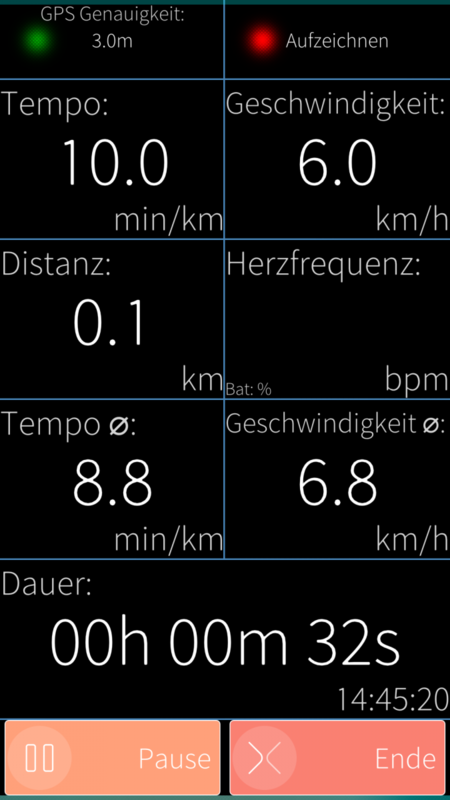 Also I liked the clear arrangement of elements in the original SPorts Tracker app on Symbian. This is also were the lines come from. - there are lots of infos on that screen and the lines help sorting them out. - padding was a little bit difficult, I will try to add that in the next version. - colors are optimized for each specific display mode. The silica mode has system colors. - buttons need background color for easy and fast identifying. I was not able to achieve that with default buttons. - bottom pulley menu is in the middle of the screen only if the map is viewed. I took that from Rena and liked it so far. - bottom pulley is a bit full. I will put some items in the top menu. I might think about making the lines switchable and using the silica mode as default mode. That would make the record screen more sailfish like for the average user. - it never crashed a single time for me and I used it for years extensively. If my app is near as stable as meerun was, I will be very satisfied. Only problem is that it was not maintained for more than a year. - I liked the UI of meerun very much and found it also very sailfish like. If you look in the feedback section for meerun and on Jolla together, you will notice that many other users agree with me. Some users even stated that of all SFOS apps, Meerun makes the best use of the UI possibilities. I mostly agree with that. The biggest problem with the UI is certainly that people have different taste about the look&feel of an app. We should try to reach an agreement so that the UI fits most peoples taste. As I invested much time in the app, I am not willing to throw everything over board, I hope you can understand my point here. Instead of putting very much more work into the UI we should concentrate on missing features, like better statistic page with diagrams. 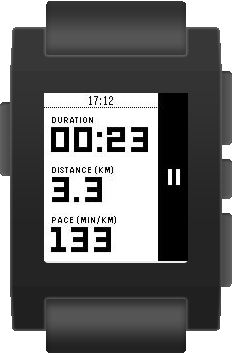 Pebble integration would also be a killer feature for me, that would be so cool! I have a suggestion for you. Let me do a rework of the points above in the next version of the app. After that we can talk again and I might accept pull requests about the UI. I think for that kind of discussions we might need a maemo thread. Should I open one?